Feminism is not about making women stronger. Women are already strong. It is about changing the way the world perceives that strength. This begins by empowered women empowering other women. After the recent Women’s March, it is important to continue to advocate for the many reasons why women should be encouraged to pursue STEM. The lack of female representation in the STEM fields is extremely disheartening. Studies have found that middle school is when girls are most likely to become disinterested in STEM subjects because they don’t think they fit what society deems the typical STEM student. STEM fields are some of the fastest growing fields with so many opportunities. Women deserve a chance at these opportunities. Working in STEM means that you’re innovative, you’re creative, you’re passionate, you’re clever, you’re whoever you want to be. 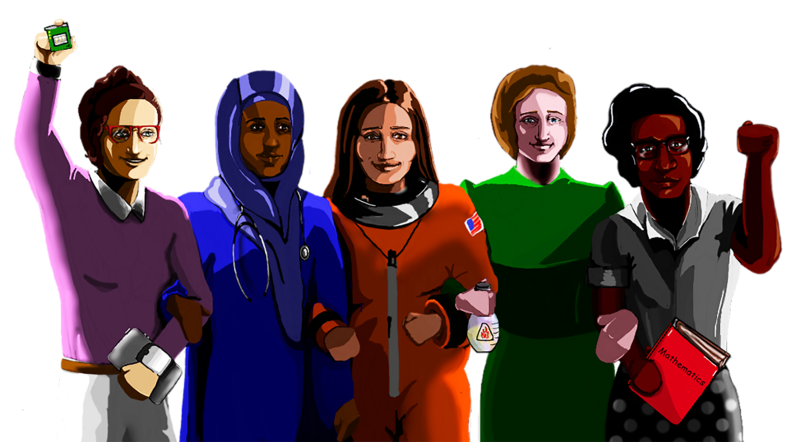 Women belong in STEM fields, and STEM fields need women.